Whether it comes to sentimental family portraits or priceless oil paintings, proper storage and maintenance help ensure the longevity of any artwork. 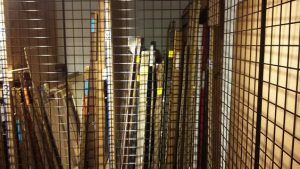 After all, there are so many material quality and environmental concerns that can impact the lifespan of your art negatively. 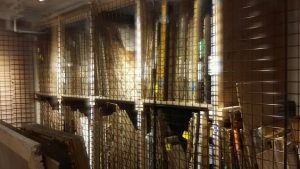 Luckily, there is also a wide array of canvas art storage options intended to prevent irreversible damage and ensure the long-term protection of art objects. Some of them are implemented by professional art storage companies, museums, and auction houses; others can be easily used in private homes. Let’s look at different situations and appropriate canvas art storage solutions to each of them. 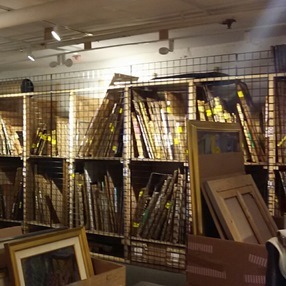 What if you are moving or simply need to store several pieces of art while your home is under renovation? In such a case, the best you can do is find a reputable company offering temporary art storage services suitable for your artwork. For example, at Fine Art Shippers, we can provide customized canvas art storage solutions in the majority of U.S. cities, ensuring that every piece of art is stored securely and according to its temperature and humidity requirements. Plus, our services are reasonably priced so that you are sure to stay within your budget. 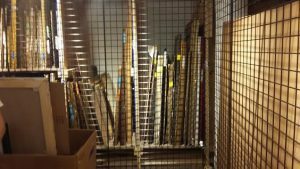 If it comes to the long-term storage of your art collection, you need to find a specialized art storage facility in your city. Take your time to look through the available options in order to choose the right company able to protect your precious possessions from all possible types of damage. 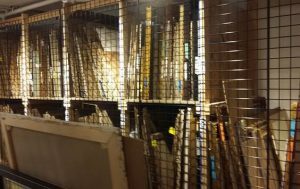 Keep in mind that you may need to crate your most valuable and fragile pieces for their secure storage. This is where Fine Art Shippers can help you too as our team can professionally crate artwork of any size even within a single day. In fact, you have many options to choose from. Moreover, you do not necessarily need to buy them. You can build them yourself or hire a professional to do it for you according to your requirements. However, if you store your art in your home or studio, it is still important to consider temperature and humidity levels as any serious fluctuations can damage your art easily. Please do not hesitate to contact Fine Art Shippers for any help or consultation you need!